Aloha everyone! 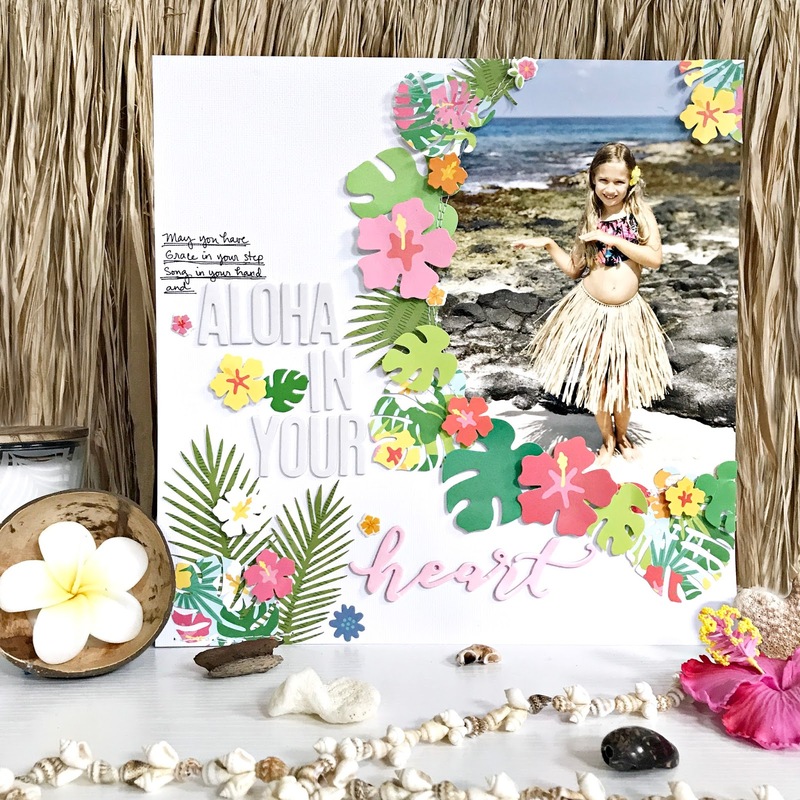 I wanted to chat with you today about journaling but first, I just have to say—I love working with the Sunshiny Days collection! They are perfect for all the fun summer activities we've been doing as a family. From the pool to the beach (and all the sweet treats in-between), it seems to cover the full spectrum. 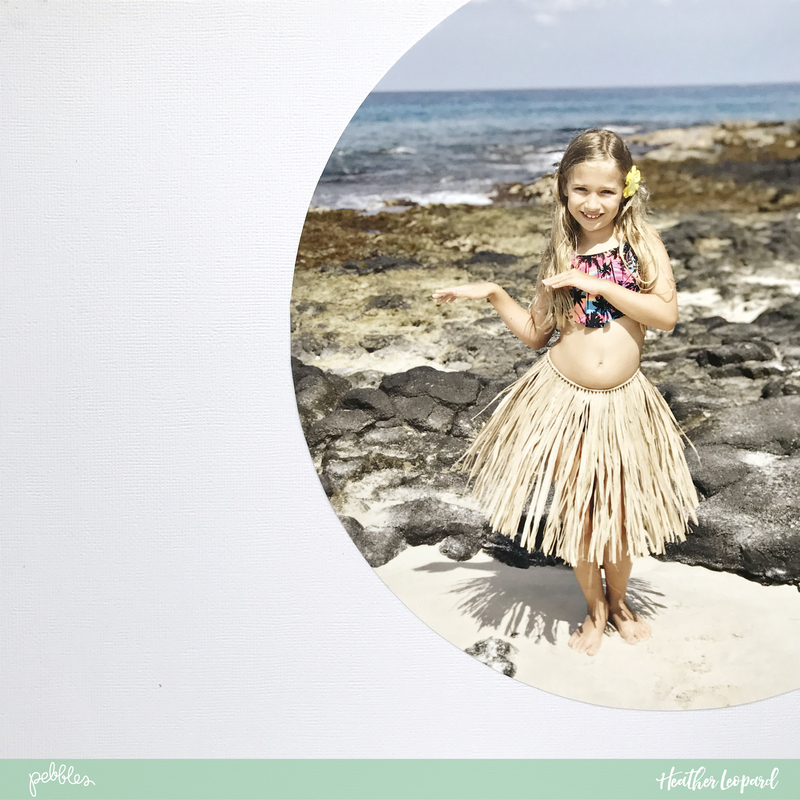 Naturally, it was my go-to for documenting my sweet daughter practicing her hula dancing on the beach. 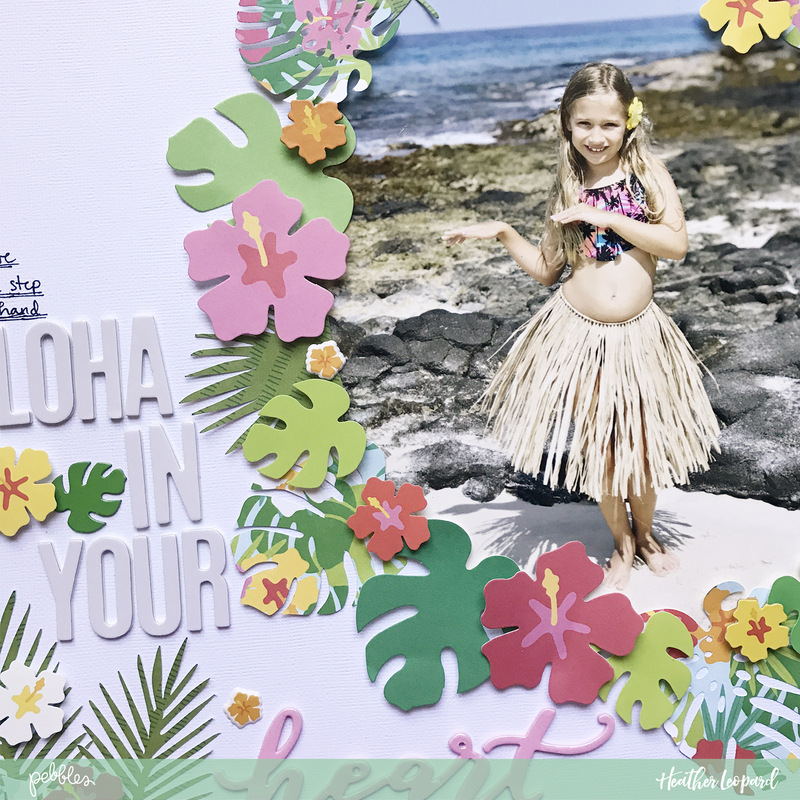 Take a look below at the hula girl scrapbook layout I created and then I'll walk you through a step-by-step tutorial. 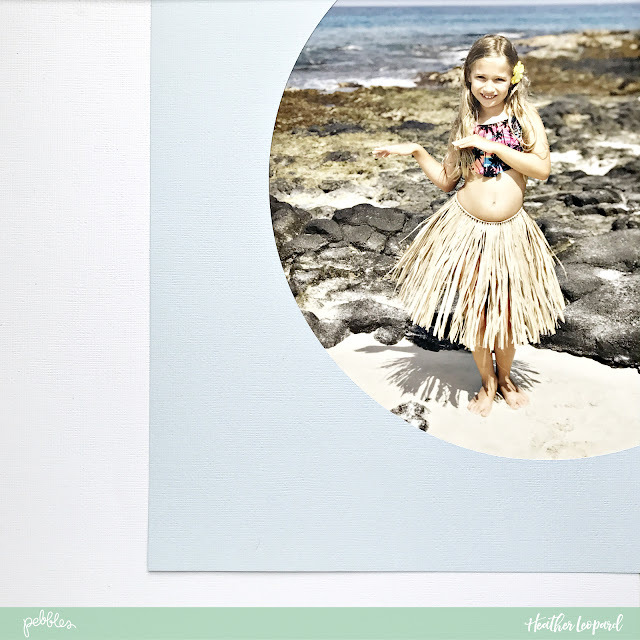 Print a photo that's approximately 7" w x 9" h and place it in the upper right corner of the page. Then cut a 9 1/2" circle template out of scrap paper to use as a photo template. 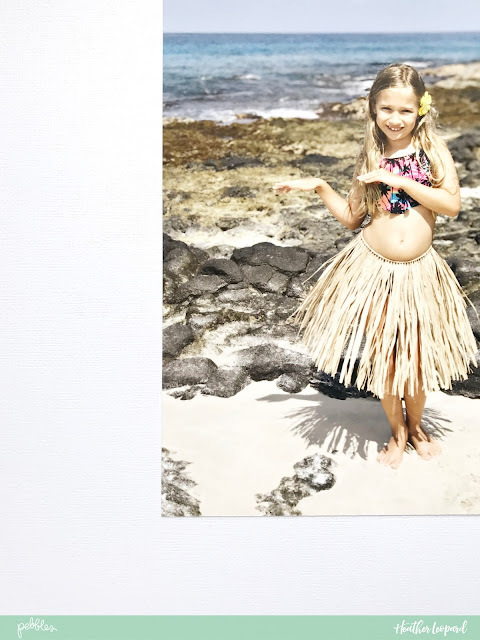 You can also cut the photo using your die cut machine—I'm not brave enough, so I went with this method to make sure I cut it exactly where I wanted. To use my method, I've found a super cool trick to finding the perfect placement. 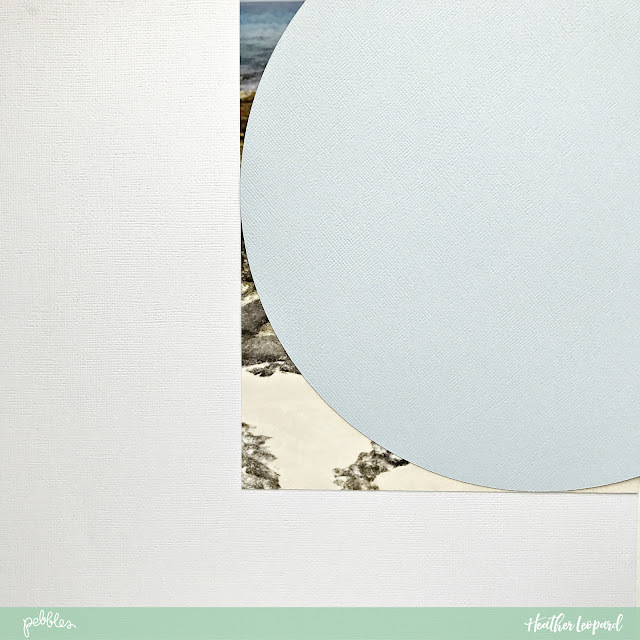 First, take the leftover paper from the circle you cut out and place it over your photo until you see exactly what you want to show (see example above). 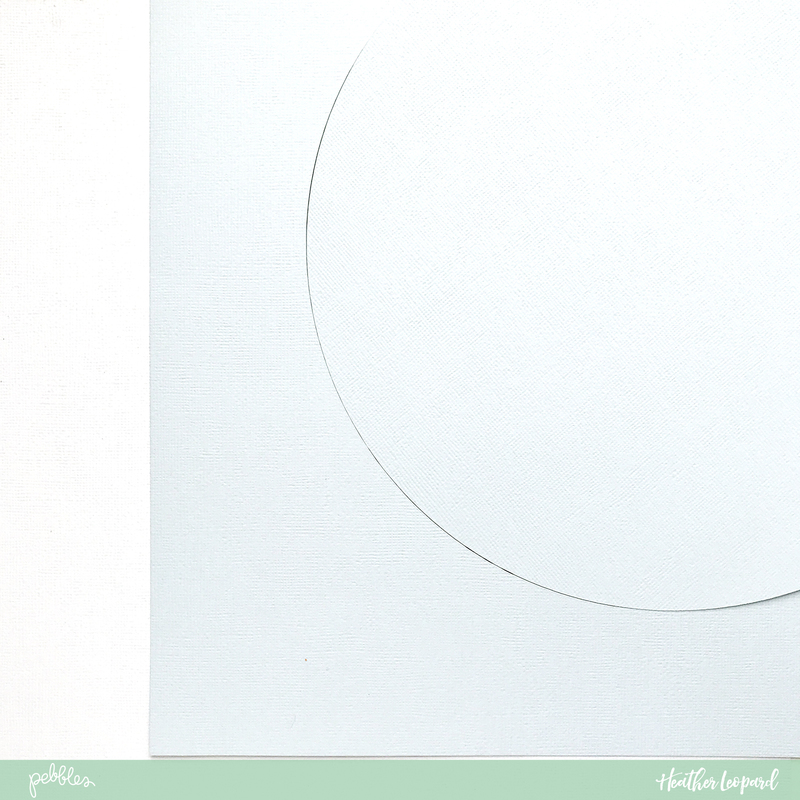 Next, without moving anything, place the circle back inside the cut out, over your photo, as shown above. Remove the outer circle piece so that just the circle remains over the photo, like you see in the photo above. Then carefully pick it up and cut your photo using the circle as your guide. Now you have your photo cut exactly how you want. 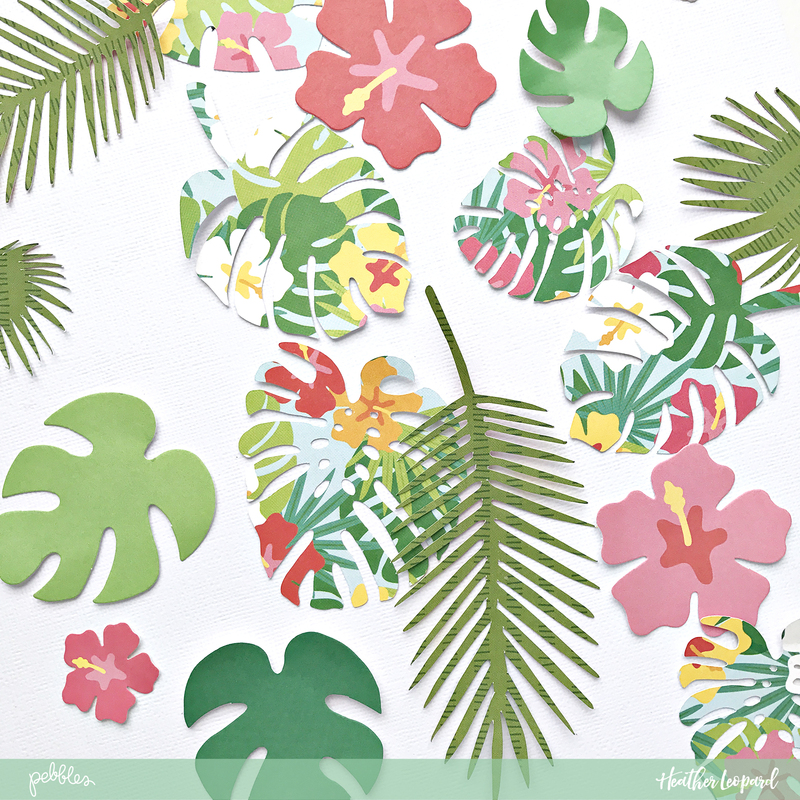 Download my free palm leaves cut file for Silhouette and cut different sized leaves from 2 - 3 patterned papers. The photo above includes leaves I cut using my file as well as ephemera from the Sunshiny Days collection. Adhere the leaves around the circular part of your photo, creating a border of leaves and flowers. Place a few more in the opposite bottom corner (I also added a couple at the top corner of my photo). I decided to journal in 2 ways. 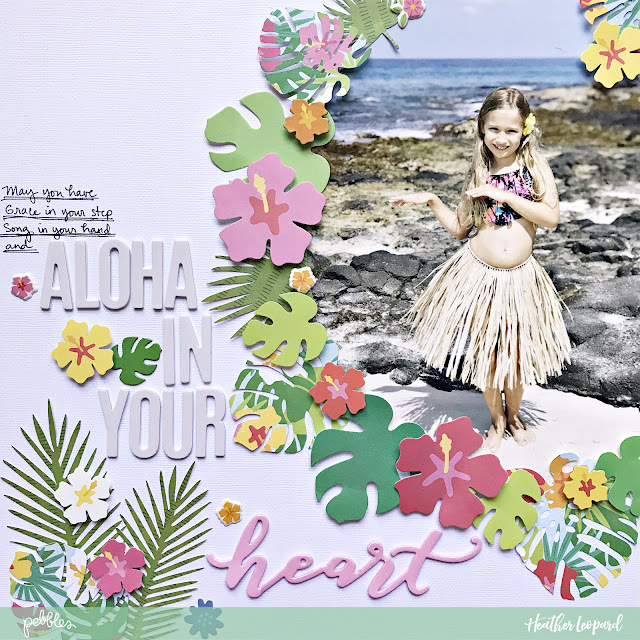 First, this layout will coordinate with a 2nd layout telling the story of how my daughter learned hula, I thought I'd make this the "hero" or title page of the album and use the 2nd page to tell the longer story. With that in mind, I wanted to use a big title. How does this relate to journaling? Well, the 2nd way I decided to approach this was to use hula blessing as my title. Since it was too long for an actual title, I hand wrote part of it (journaling) and then put the key part of the quote in Thickers to highlight them. I enjoy using quotes, song lyrics, things my children say, etc. as my title. It's also super fun to mix them in with the journaling. You can easily tell your story instead of a quote (like I did) and then choose key words or phrases in your journaling and highlight them within your story.